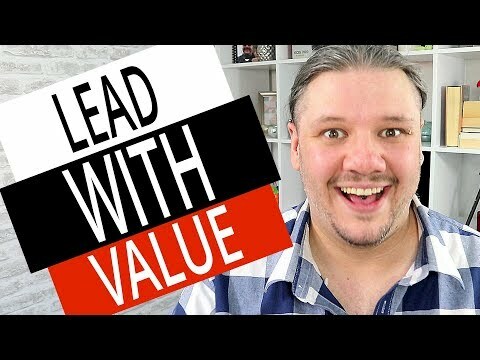 Lead With Value — Giving Away Your Business Secrets (DEEP DIVE) // Are you worried that if you give away all your tips and tricks that people wont want to use your services any more? Are you a business YouTuber trying to find new clients and worried you might be talking yourself out of a sale? If you LEAD WITH VALUE you can prove to your potential client that you are an expert in your field and win their trust. Plus to quote Gary Vee — 99% of people wont use the information anyway — this means they learn that you know these things and then hire you to help them anyway.